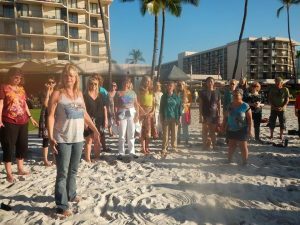 In this fabulous Dolphin Playshop recorded live in Kona Hi, bestselling author Cyndie Lepori leads you through her famous bubble exercise. She also shares dolphin/human living skills, a guided dolphin meditation, and other fun and enlightening dolphin play exercises. Each exercise is simple, quick, and fun. They will enable you to reduce stress, achieve more joy, open up your creativity, and create healthier relationships right away. A full 45 min of dolphin experiences. Usually sold on CD for $25.00.